7 Steps to Owning a Home- Preapproval is FIRST! It seems like I often get asked about seeing homes before someone has a preapproval. This is not professional, nor beneficial on anyone’s part. You are wasting your time, the sellers time & the agent’s time. Open houses, model homes, etc. are different- these are open to whoever may come by- but homes that are listed and on the market are not just there to go look around for fun. Put yourself in the seller’s shoes- do you want random people coming to browse through your home, who are not even in a position to buy your home? I think not! 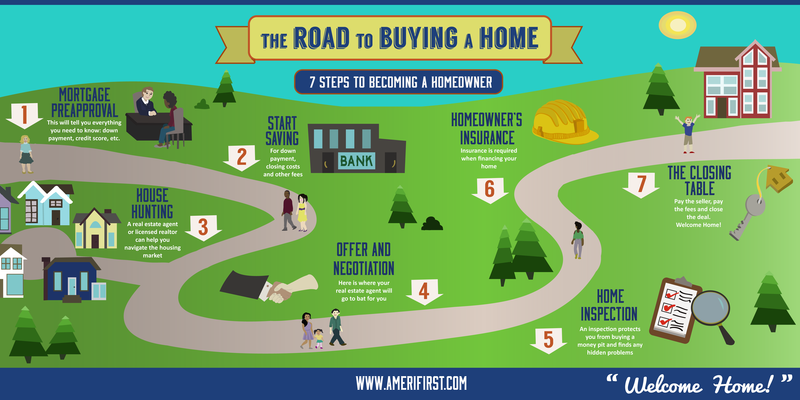 I found & really liked this infographic put together by Amerifirst- Preapproval is the first step. Knowing your budget, down payment needed, loan type, etc. is crucial to knowing the types & price ranges of homes you are looking at. We are here to help & guide you through the process from start to finish!! Previous Previous post: Spring Forward 2015! Next Next post: Utah Things to Do!